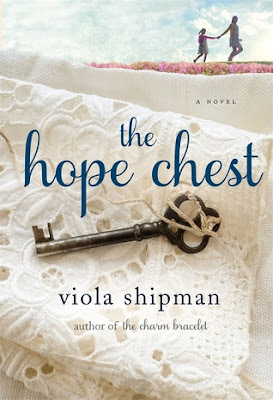 Summary: From the beloved author of Indie Next Pick The Charm Bracelet, a story about an heirloom hope chest and the connection it inspires among three people in need of hope. Don and Mattie have been married for almost 50 years; but as Mattie battles debilitating ALS, Don fears they won’t see their 50th anniversary. A couple so incredibly in love they’ve shared an amazing life together with their only regret being that they were never able to have children. Their love is a testament to never take a single day for granted. Single mom Rose is still grieving her mother’s death, still reeling from her divorce, and struggling hard to pay bills and hold onto the house her family loved so much. Her little girl Jeri is the one bright spot in her life. Rose is about to start her new job as a caretaker, a job that could help keep a roof over her and Jeri’s heads; but Rose is about to find something much better than just a new job. A couple who couldn’t have a family meet a mother and daughter that are missing theirs. These four people come together and find more love and hope than one heirloom hope chest can contain. The Hope Chest is a beautiful and sentimental story. Though not the type of book I normally read, when I began reading this story, I couldn’t help but think how much my mother would enjoy this. Mattie and Don’s relationship reminds me so much of my own parents’ relationship. To still be that in love and to have your best friend by your side after so many years is certainly something that most of us wish for. Each chapter represents a keepsake from Mattie’s hope chest, keepsakes she thought she’d never be able to pass down to a daughter or granddaughter. Until now. As each item is pulled from the hope chest, a story is told from Mattie’s childhood, as well as stories from Mattie and Don’s early years. The glimpses into the past are extremely sweet and poignant. While the story itself is a heartbreaking one, it is also a hopeful one. There’s a wonderful reminder in this book about how much we should cherish our older generation. There is so much that we can learn from them and so much that they still have to give. The book does touch on faith near the end, something that I found lovely but not something that would be off-putting to those who don’t share it. The Hope Chest also proves that you don’t have to share someone’s DNA to be their family. I’ve never read Viola Shipman’s work before, and I was surprised to find out that Viola Shipman is a penname for Wade Rouse. He chose his grandmother’s name to honor the woman who inspires him and his writing. That warmed my heart, and his love for his grandmother and her life stories shines through his words. Though this is not my usual genre, I continued to think about how much my mother will love this book. And as I neared the end, a funny thing happened… I realized that I loved it, too. This sounds like a book I should read. I am glad that it worked for you even if it was a bit outside your comfort zone. I don't read books too often with religious themes, so I am happy to hear it was subtle and that you loved it. Lovely review. I really liked that last line. Oh this sounds like something my Mom would love. Defintely one that tugs on the heartstrings. Wonderful review Wifey! This sounds like a tear jerker! I have never read this author but the book sounds good. Thank you for sharing this great review! Oh, i do love to weave this genre in every now and again. This sounds wonderful! You would enjoy this, Kimba! This is such a heartfelt review, Michele.... Just reading it made me tear up, so I know I wouldn't be able to handle this book. Still, the story is a beautiful one, and yes, I agree that it does make us realize the value of the older generation.... I know that from my own experience, too. The reason behind the author's pen name also touched me. That a man would take a woman's name as his own pen name, and that of his beloved grandmother, no less....well, that says a LOT about the type of man he is!! Thank you, Maria! It really touched my heart, and I definitely shed a few tears. I understand this would be a difficult one for you right now, but I promise that there are so many uplifting moments in this story that I believe you would get a blessing out of it one day. I just had to include that about the author's pen name; I thought it was so beautiful.